Aviation watchdog the European Aviation Safety Agency has issued an airworthiness directive over the lack of a label warning passengers not to stow luggage under seats of offshore helicopters. Most offshore helicopters are fitted with ‘energy absorbing’ seats, whose legs collapse onto the cabin floor during a ditching to try and reduce the chance of injury. However it was found that some seats have not been fitted with a label to tell passengers to keep the space under the seat free of objects. EASA say that if the situation was not corrected – with the fitting of a new label – it could lead to passengers stowing items under the seats and in turn “possibly resulting in reduced suvivability of occupant(s) in case of an accident”. 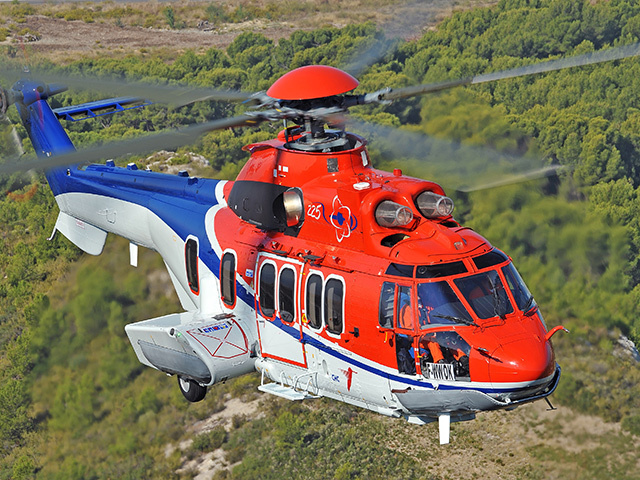 The helicopters that may be affected include Airbus’ AS332, H225 and H155 models. No operators in the UK are currently flying the AS332 or H225 following a fatal crash off Norway last year. According to Oil and Gas UK latest statistics there are two H155s flying in the North Sea. Operators are required to check for missing labels and install new ones if they are found to be missing.